Before I was aware of the retromuscular technique developed in France for the repair of major incisional hernias, I, like other American surgeons, used a hodgepodge of techniques. 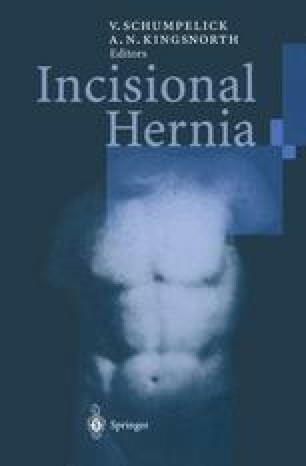 Although these techniques usually eliminated the hernia, they left a feeling of dissatisfaction. Visits to France in 1985 and 1986 to observe R. Stoppa in Amiens and J.B. Flament in Reims were most educational and valuable. Since then, sincere and ardent attempts have been made to teach surgeons in the United States about their methods. Herein, I, together with Eva Fischer, report with enthusiasm our experience with the technique, emphasizing indications for the procedure and results.